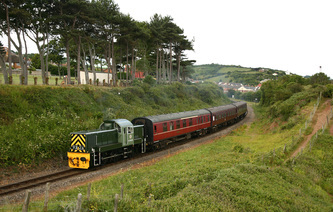 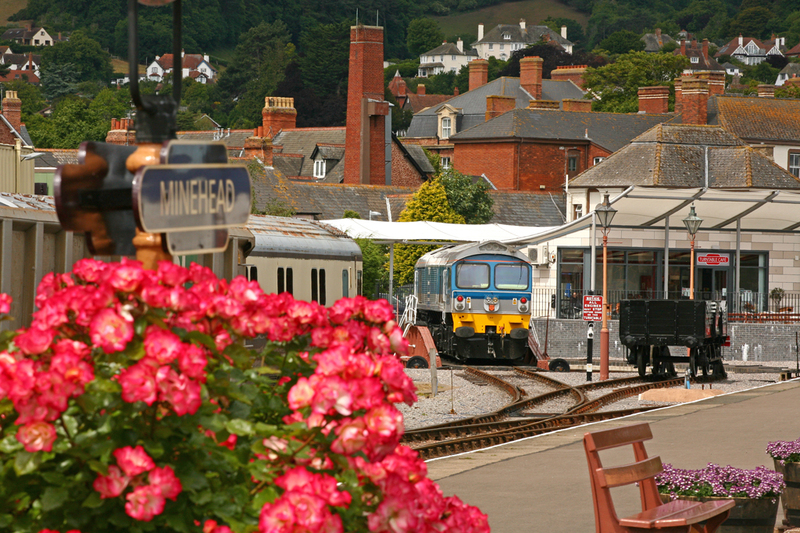 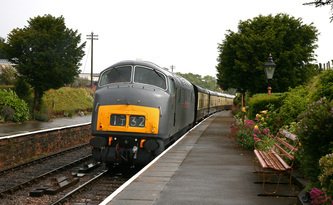 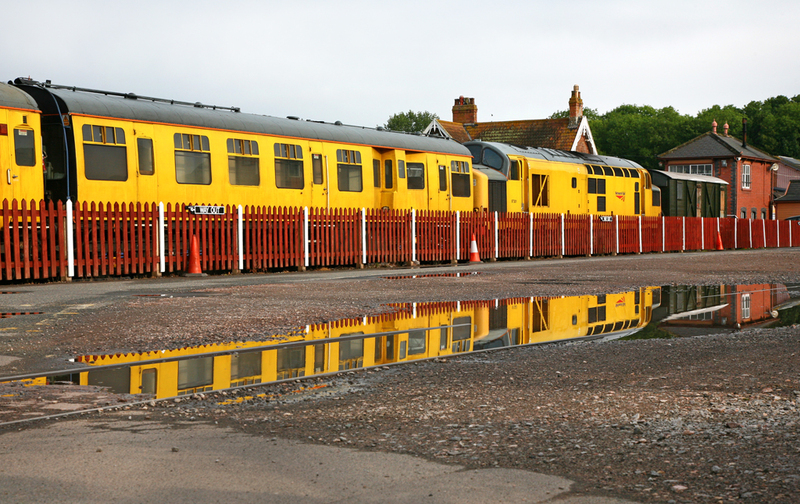 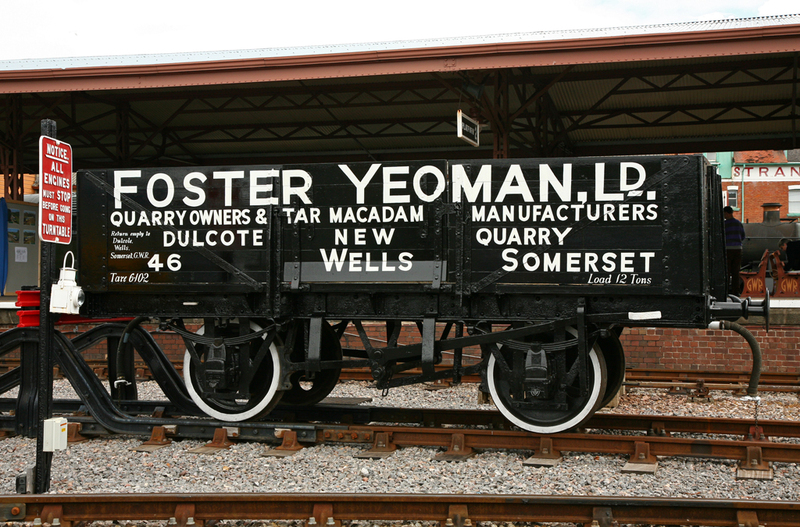 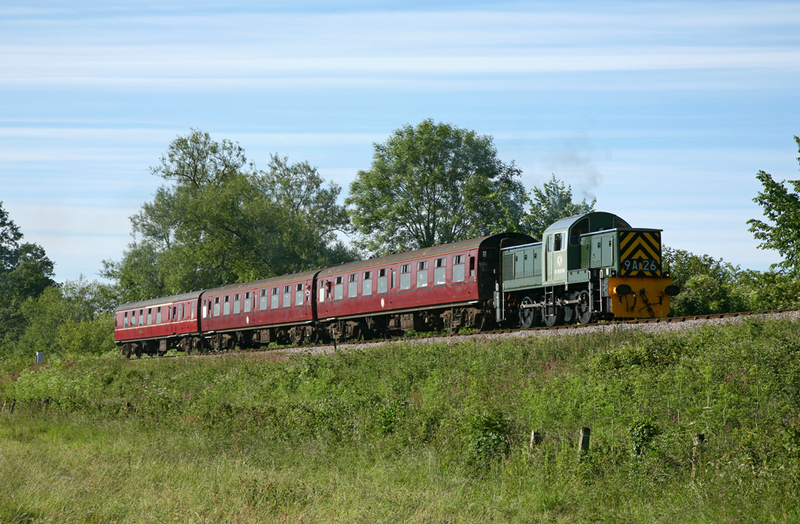 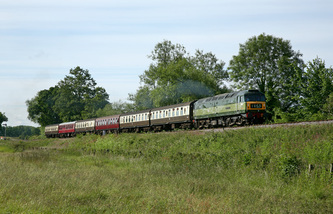 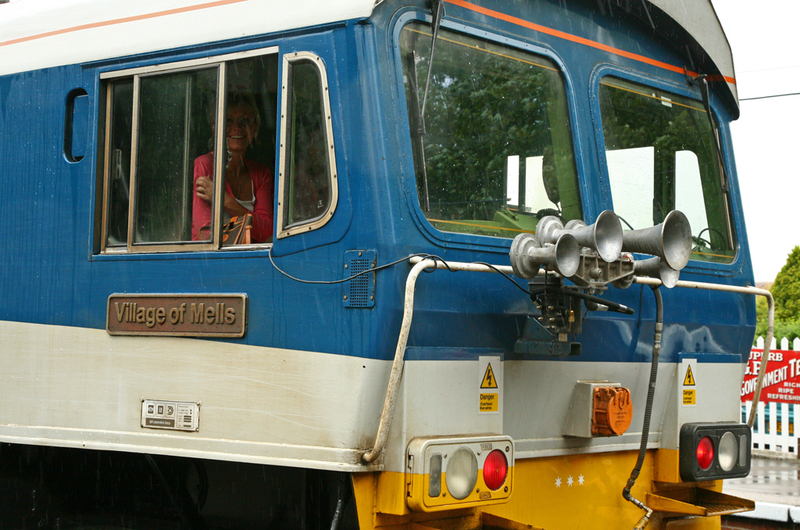 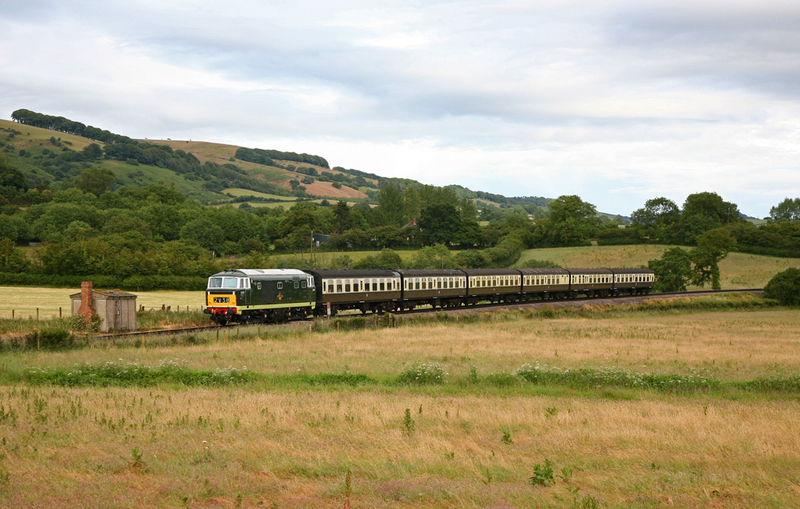 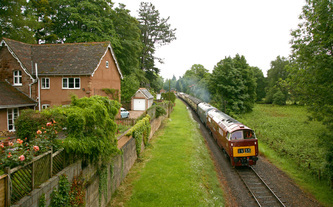 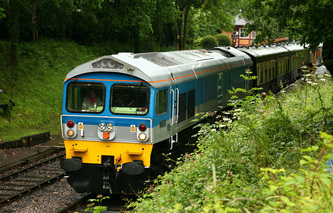 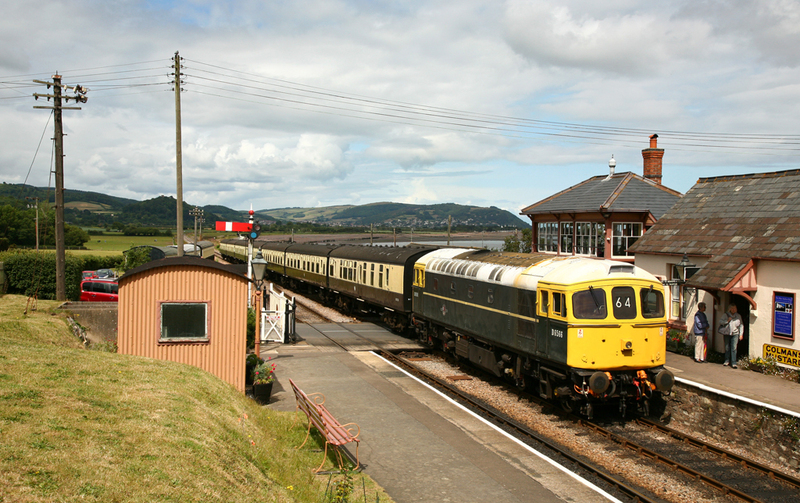 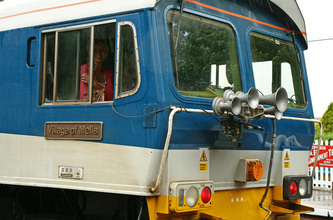 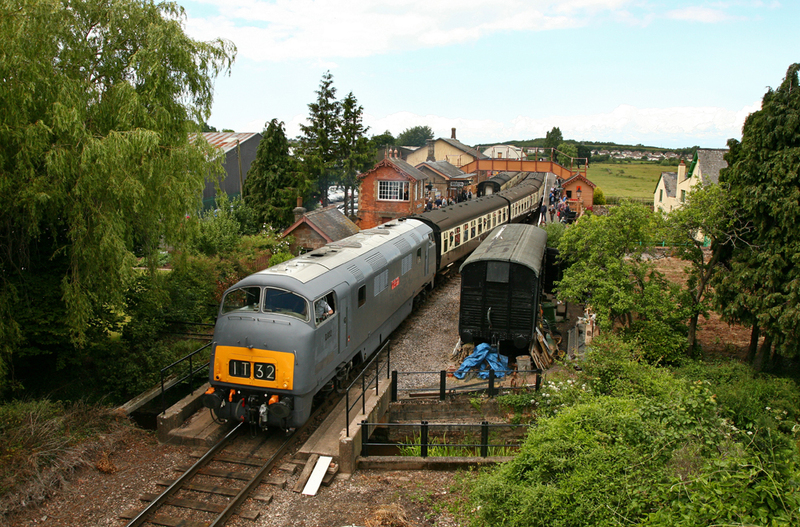 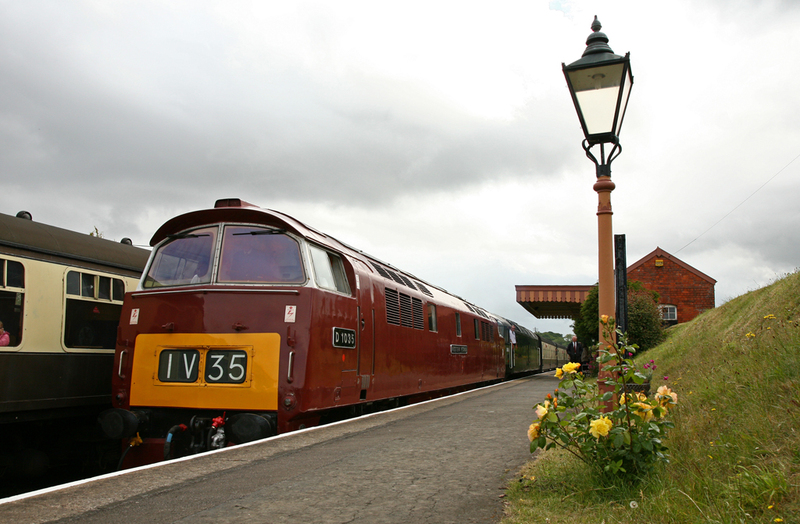 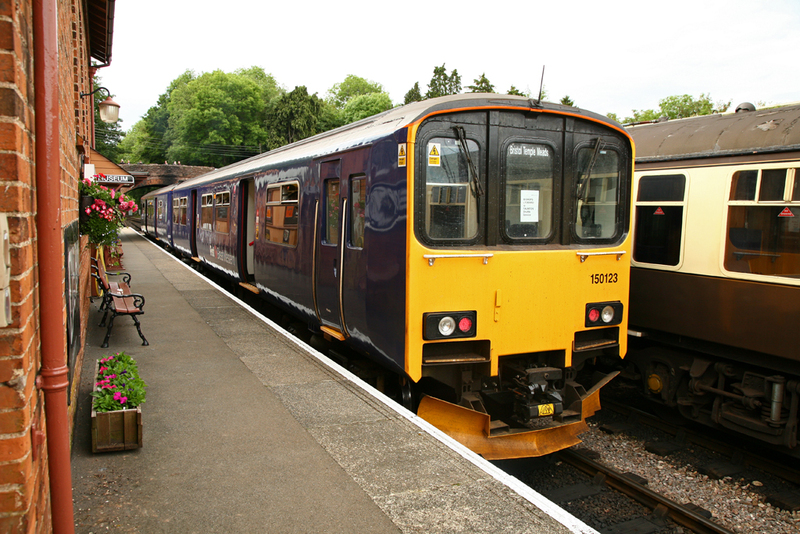 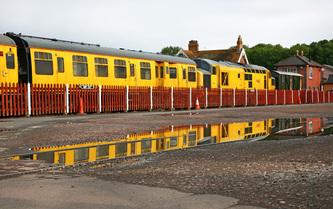 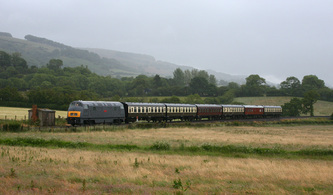 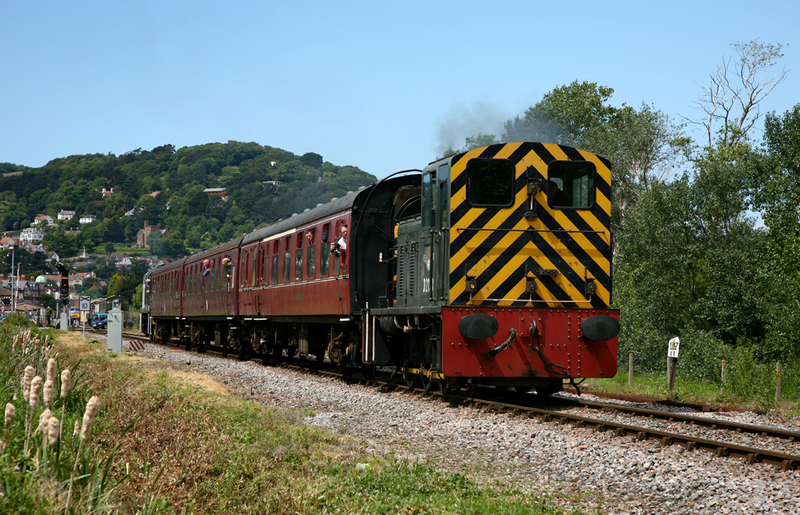 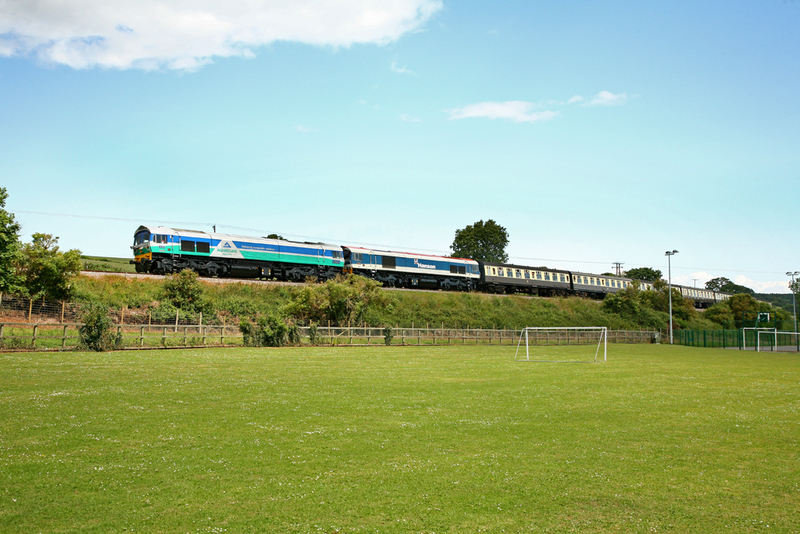 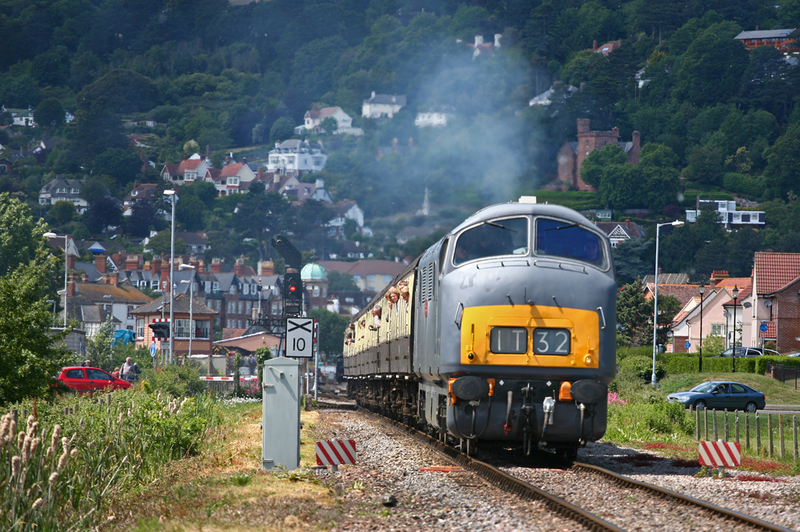 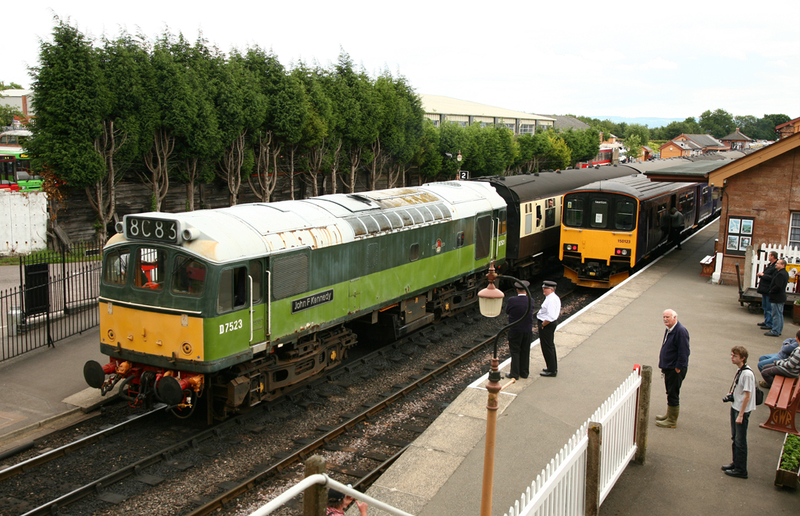 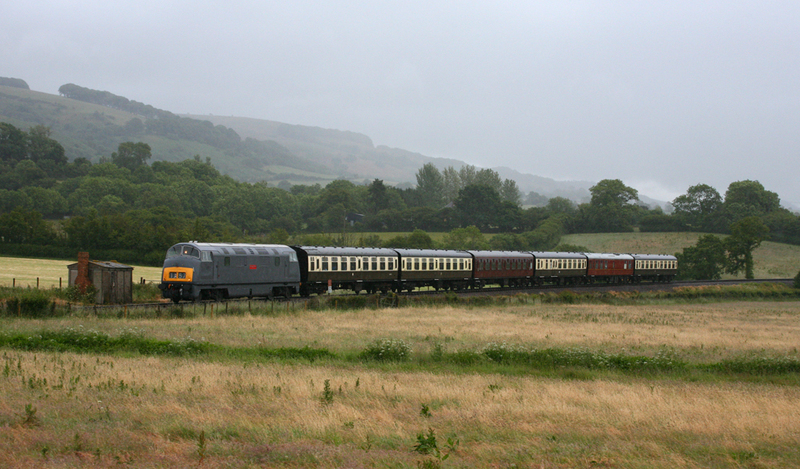 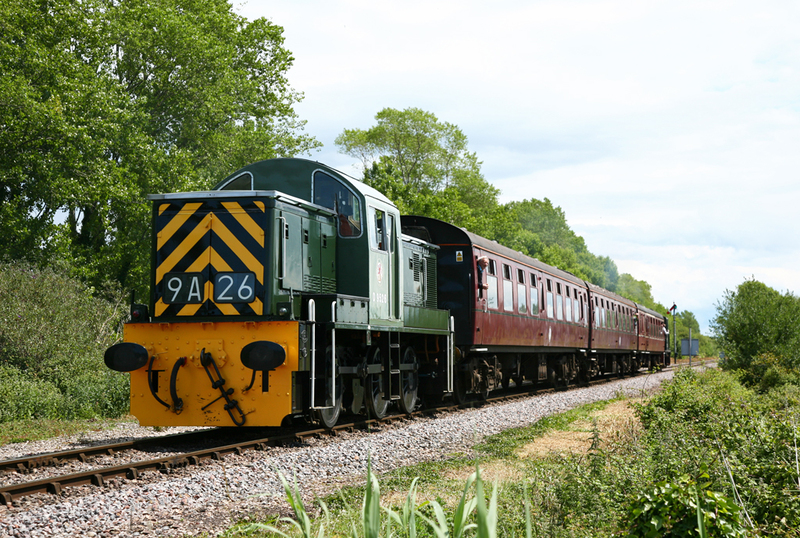 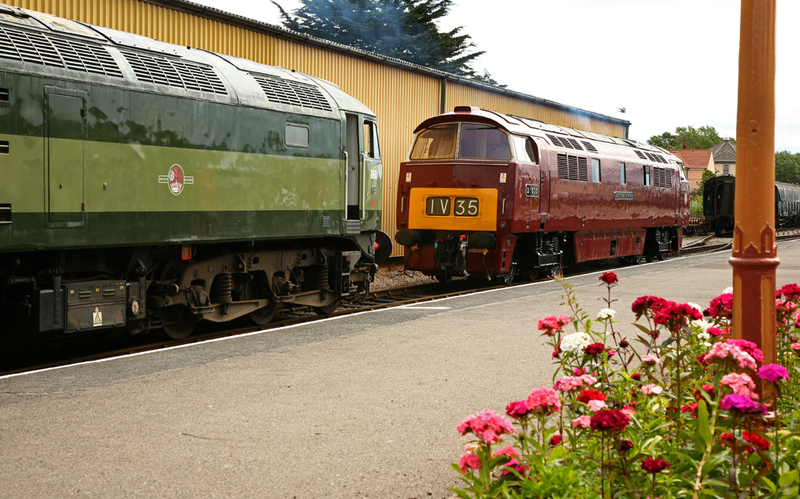 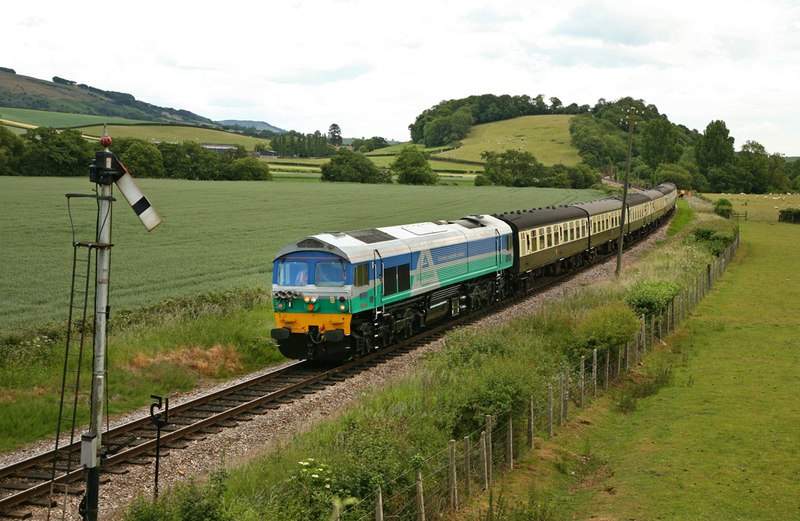 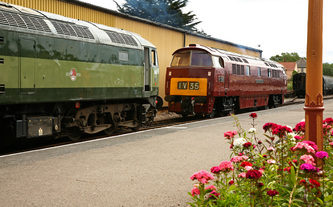 Friday 10th June to Sunday 12th June featured the West Somerset Railway’s annual ‘Mixed Traffic Weekend’. Sadly Mother Nature decided she would also attend the gala and bought with her mixed blessings for the railway over what should have been warm mid-summer days. 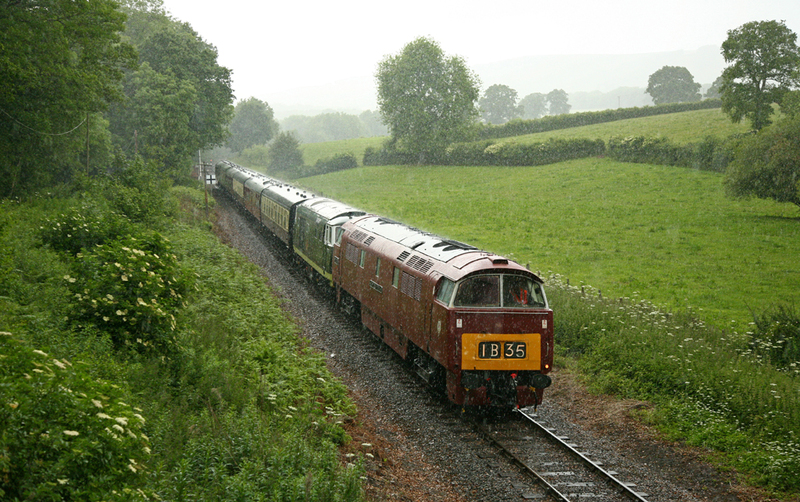 We made the most of dodging the heavy showers, while also making use of the conditions where possible. 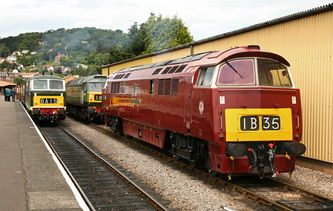 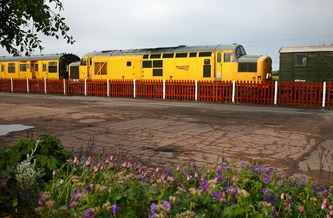 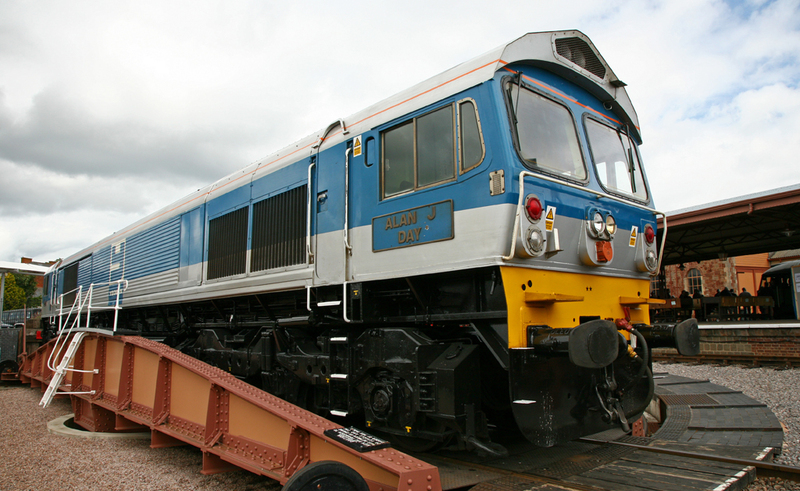 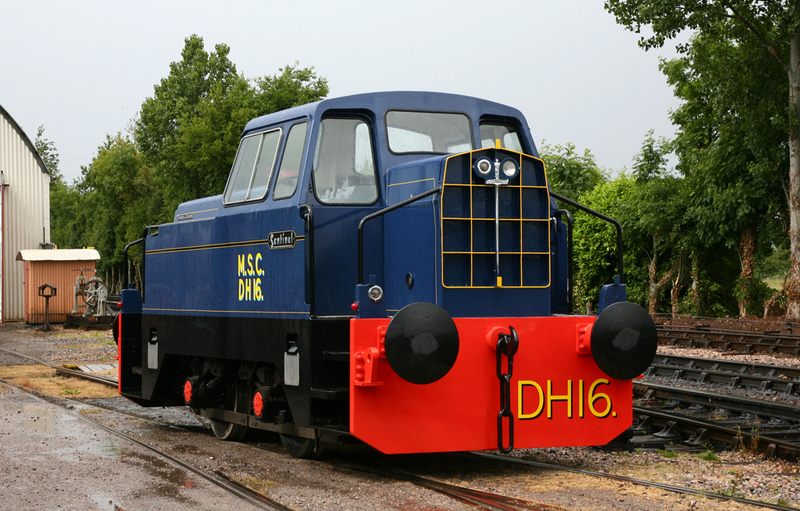 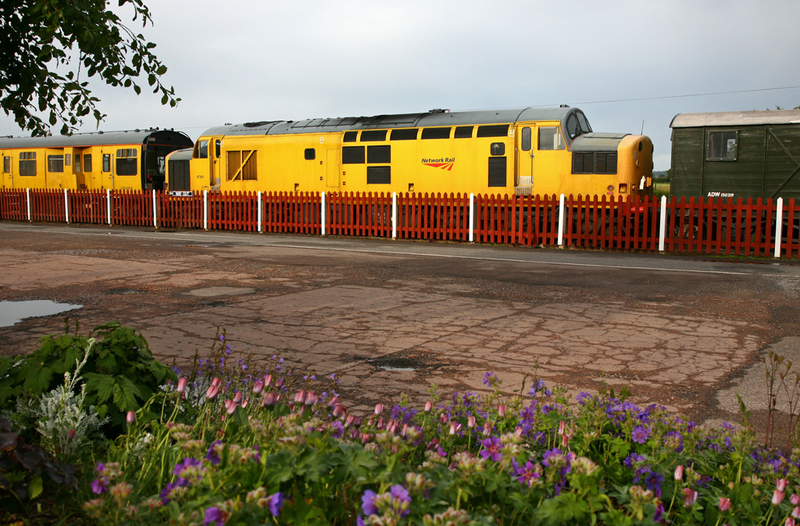 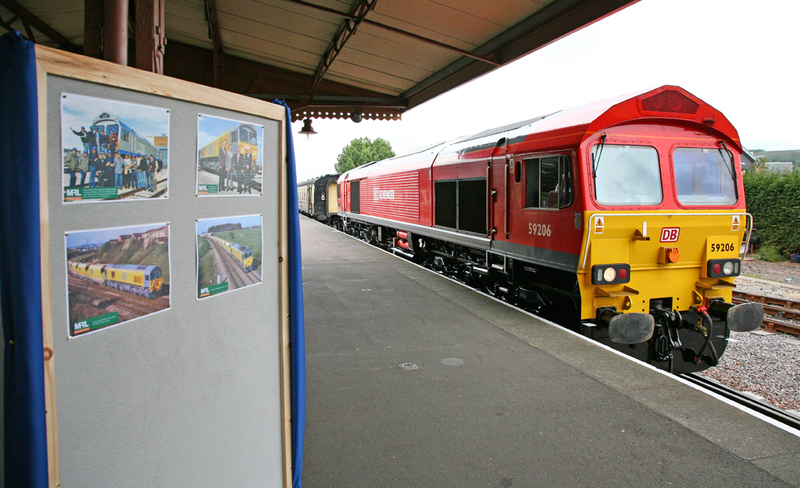 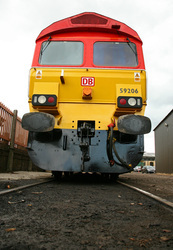 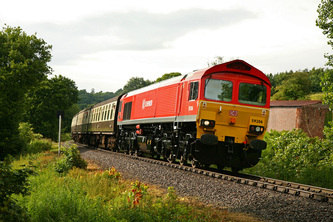 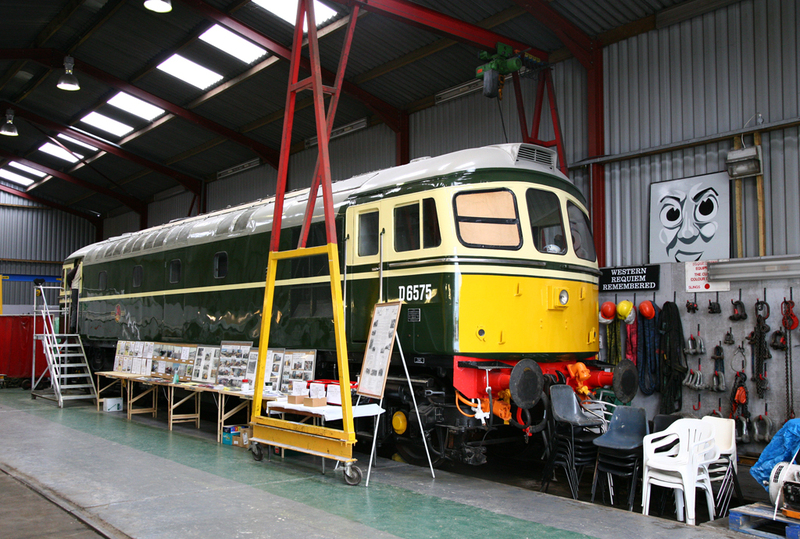 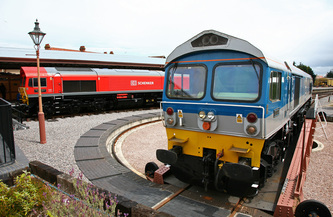 The 2011 event featured 4 visiting Class 59 locomotives from Mendip Rail, each of the locos was specially painted and washed for the event. 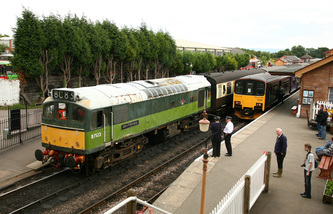 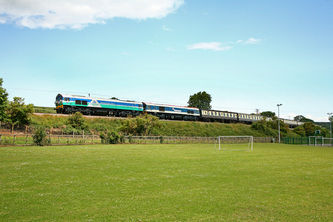 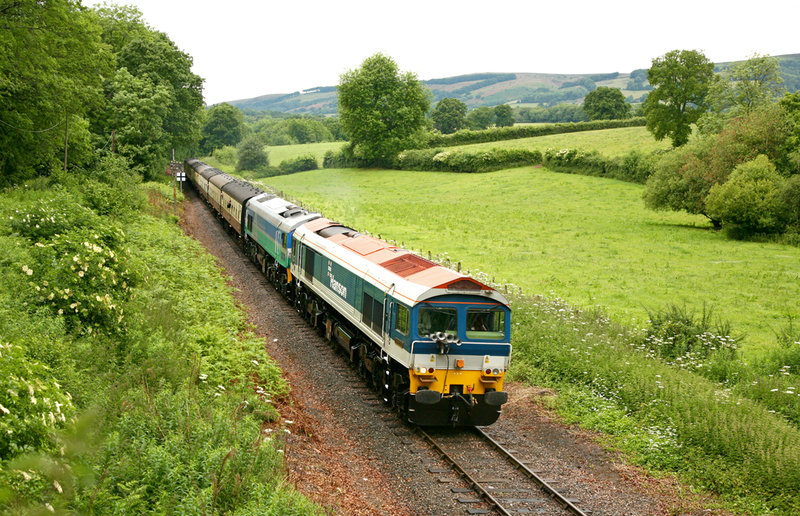 All three Class 59 sub classes were represented along with 4 different operating liveries. 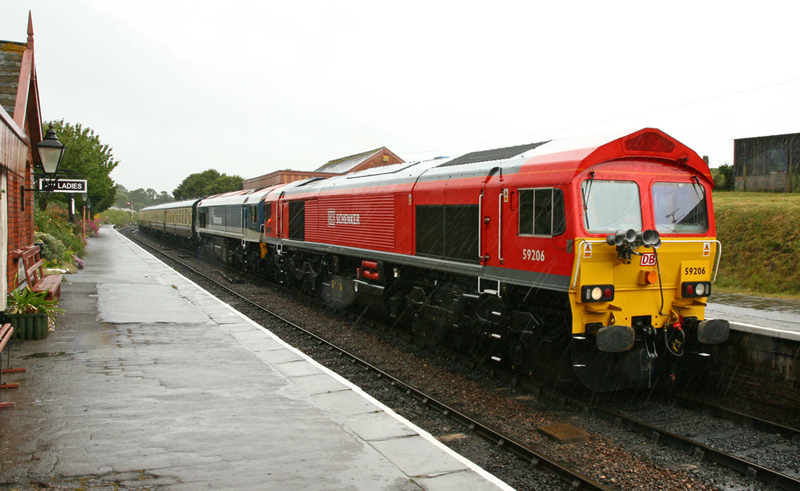 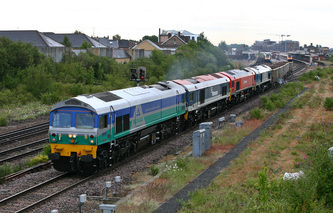 59001 (Aggregate Industries), 59002 (Foster Yeoman), 59103 (Hanson Aggregates) and 59206 (DB Schenker). 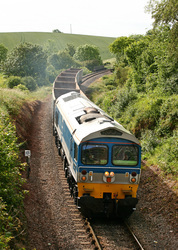 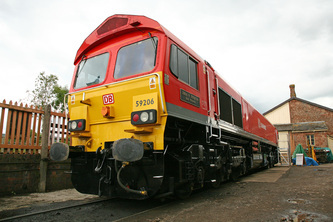 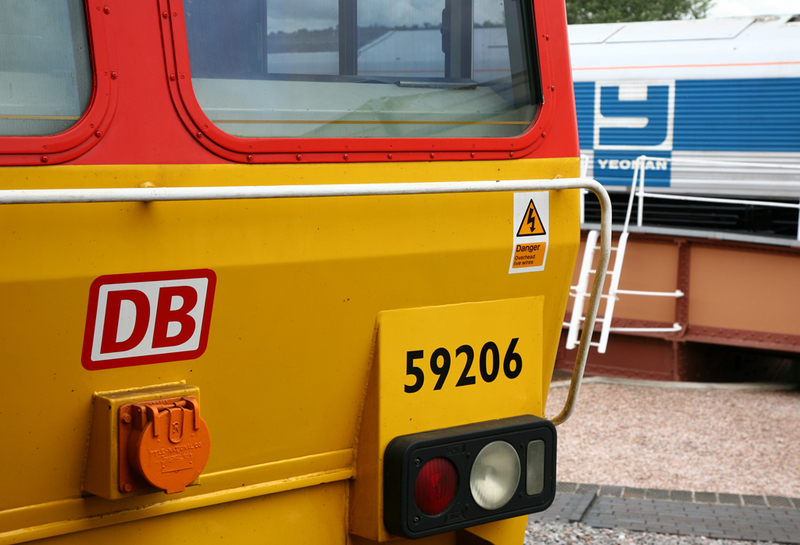 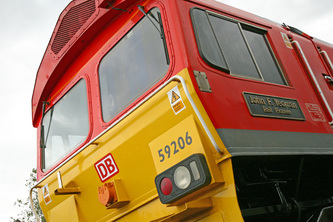 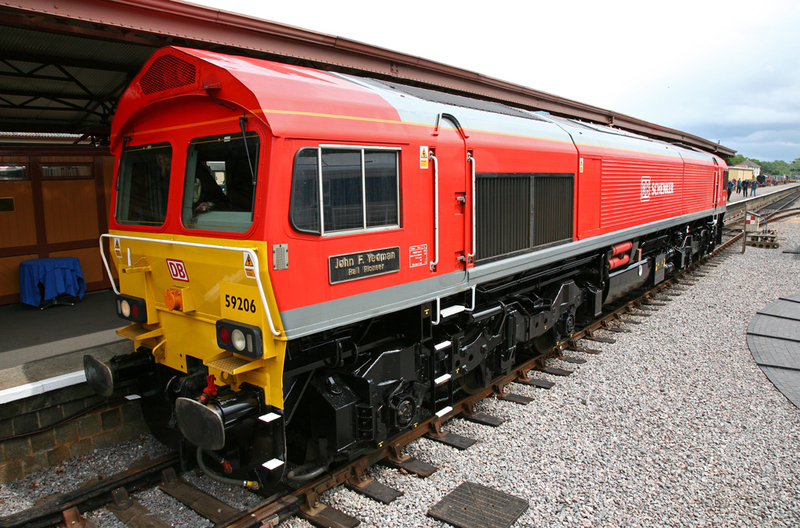 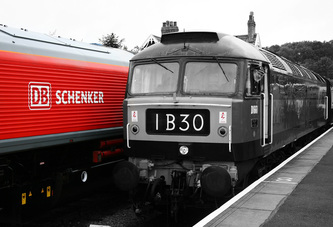 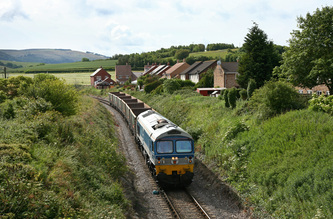 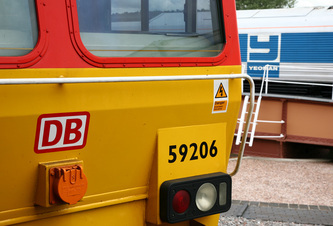 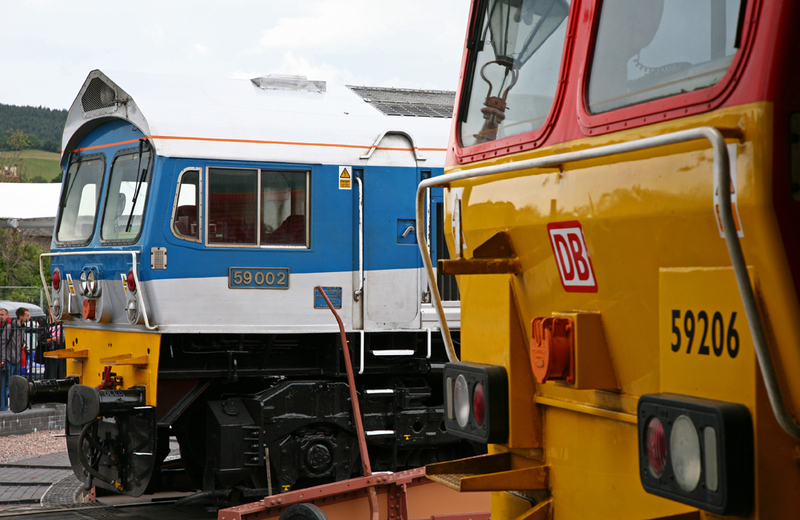 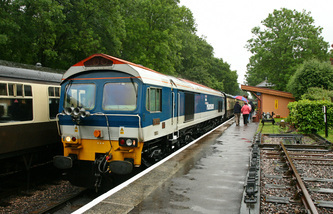 2011 marks the 25th anniversary for the introduction of the first Class 59’s to the rails of the UK. 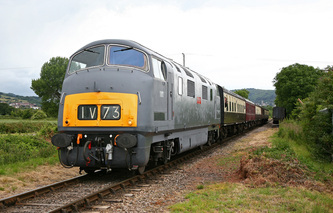 To commemorate the milestone a special party of Mendip Rail employees and invitees enjoyed a ride along the length of the line including a ceremony at Minehead station adjacent to posed locomotives from their own fleet. D1010 was also renumbered and renamed for the weekend to run as D1035 ‘Western Yeoman’, and a specially repainted open wagon was also specially repainted in Foster Yeoman colours. Running alongside the Class 59’s over the three day event were the WSR’s own Diesel Fleet which provided a stark contrast to the relatively modern locomotives. 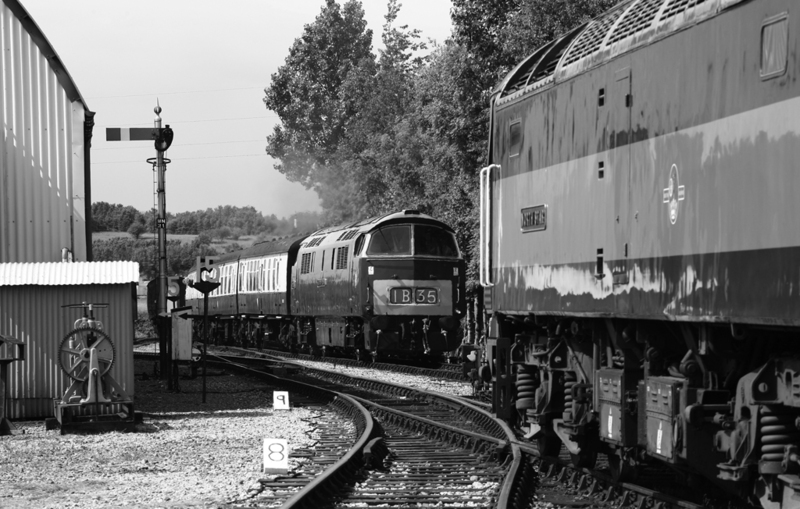 Several adjustments were made to the timetable over the weekend, which included the use of the popular Class 25 D7523, despite needing some much needed care and attention the little ‘rat’ soldiers on in fine style and is very popular with enthusiasts. D832 was the other suprise of the weekend, after the DEPG team ran out of time to get the loco repainted into BR Green, it instead ran in Grey Primer but looked rather good, it soon gained the name 'The Battleship' owing to its grey livery and naughtical connections. 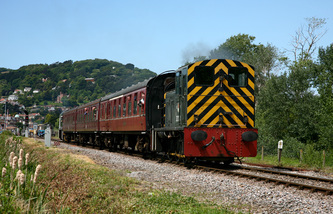 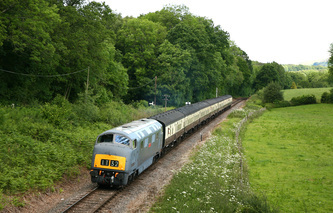 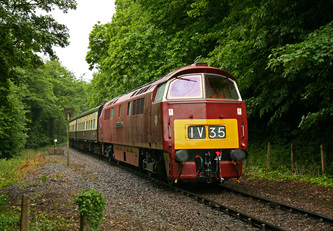 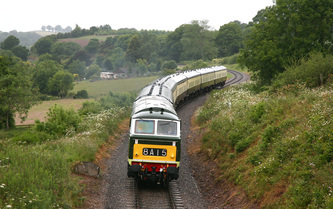 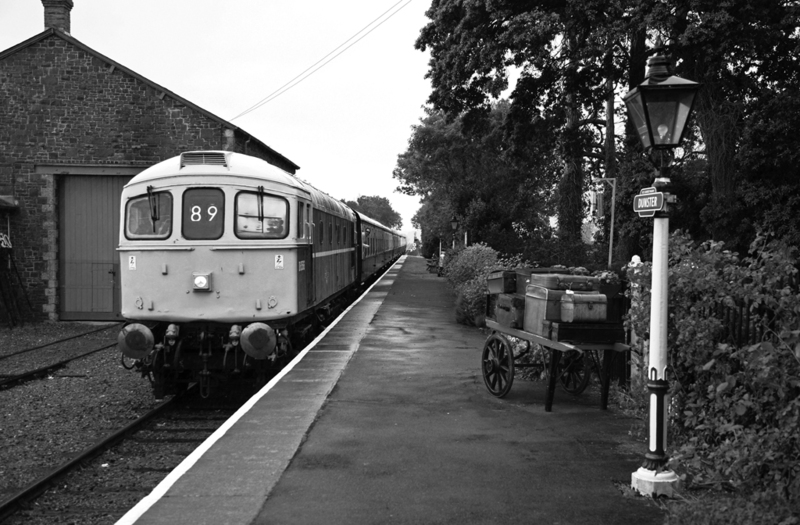 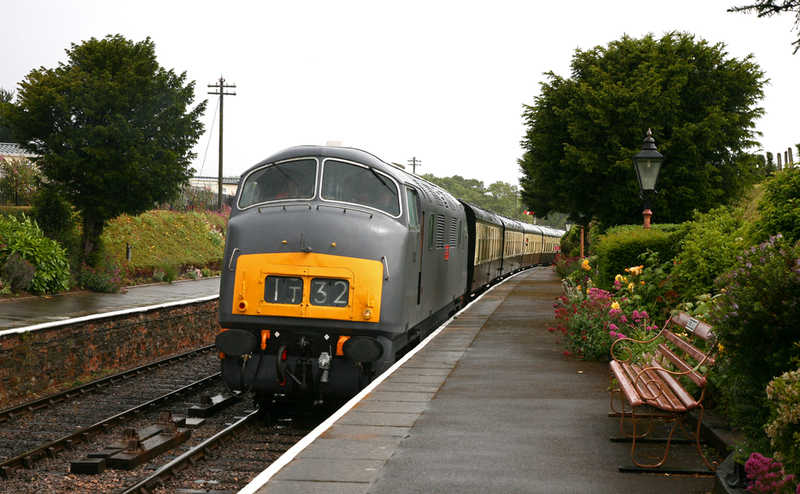 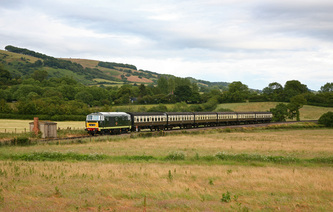 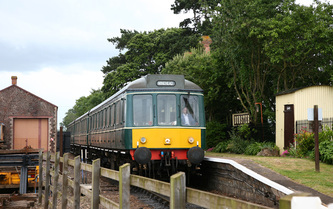 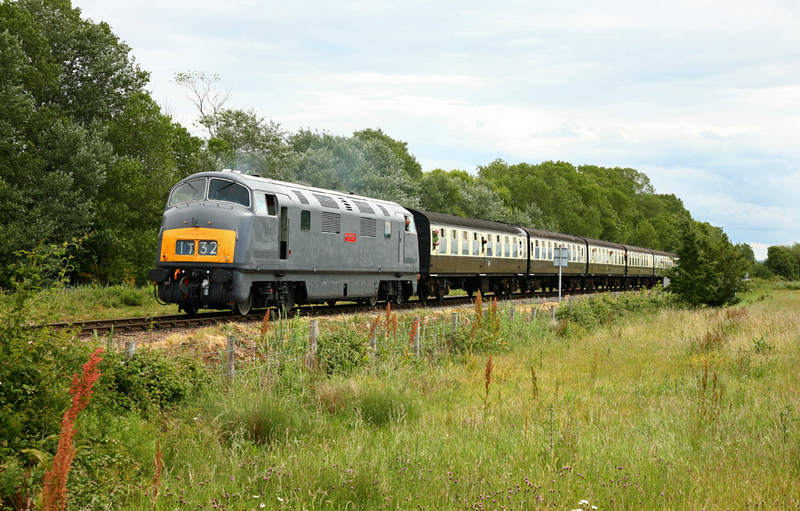 D1010 was the only failure of the weekend, after reports of a small fire; the locomotive was switched off at Crowcombe on Saturday 11th June while double heading with D832 on the 17:00 from Bishops Lydeard. 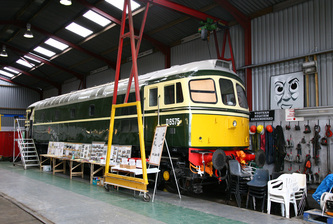 Class 33 D6566 covered for D1010 during Sunday. 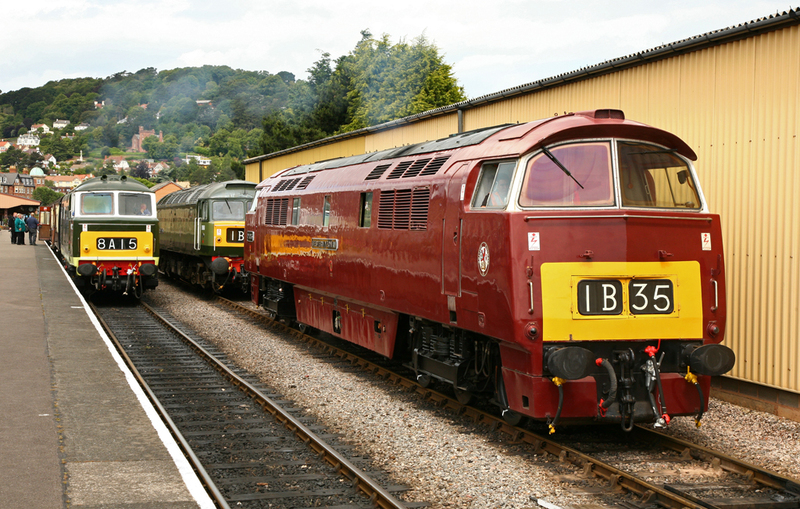 The event went very well and we hope the photos included in this gallery give a fair representation of what was on offer (minus the obligatory Steam service). 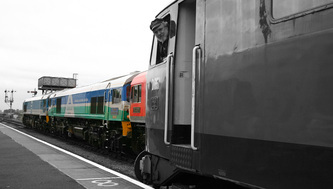 Well done to all those in delivering another successful and colorful event. 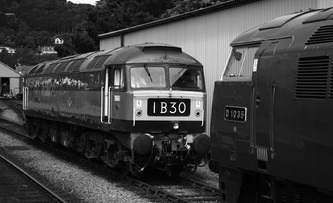 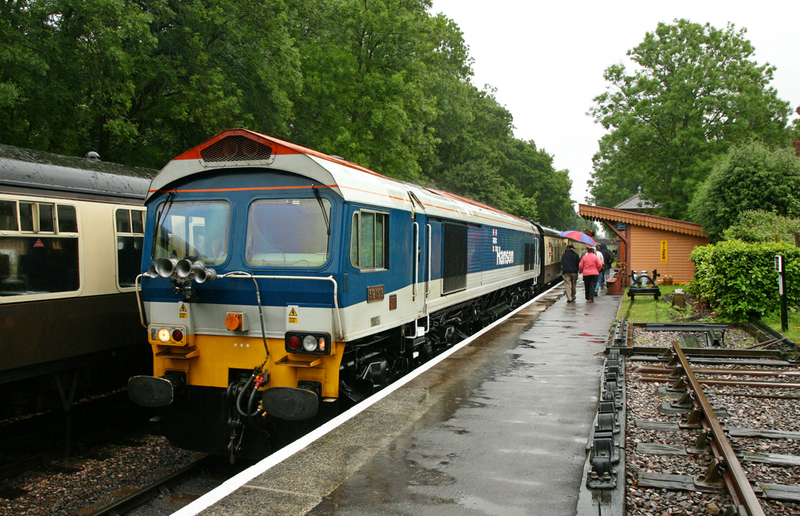 My only thoughts for 2012 would be lets take the brave step and have a full blown diesel gala without the need to provide a steam service and try a different timetable for diesel events, where locos don’t need to sit in stations for 15 minutes at every passing points!